“Let’s Get It Right: Work Incentive Posters of the 1920s” at the Smithsonian’s National Museum of American History will explore how employers encouraged their workforce. Opening July 27 through November in the Archives Center Gallery, the display will feature 16 posters with images and sayings designed to influence attitudes, reduce conflict and increase efficiency. The “Golden Age” of work-incentive posters followed a campaign during World War I that used posters to mobilize Americans with great success. Managers in the 1920s hoped to use similar posters to instill positive work habits and company loyalty in their workers with eye-catching designs and succinct slogans. 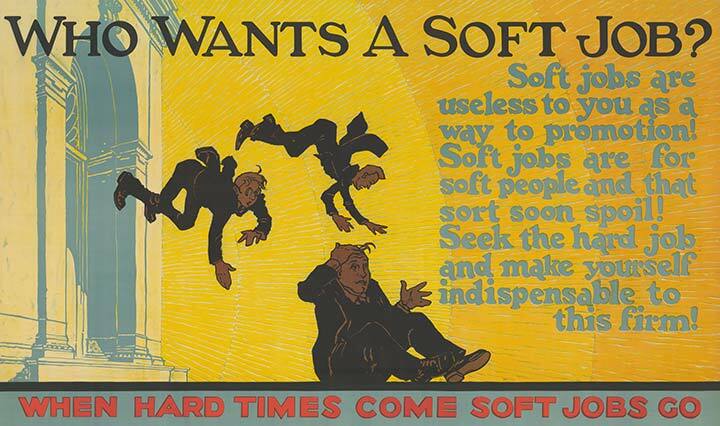 Although the “Golden Age” of work-incentive posters ended with the beginning of the Great Depression in 1929 when the job scarcity was enough to keep workers motivated, incentive posters became an enduring concept with messages offering timeless life advice. The display will feature posters from the early 20th century including a WWI poster and posters from Mather and Co. and the Parker-Holladay Co. Background material on the 1920s workplace and using posters in sales will be accompanied by a video loop showing additional work incentive posters.